Forrest Glen Mixdorf, 100, of Cedar Falls, was born on September 19, 1918, on a farm south of Denver, Iowa. He was the son of Otto and Lena (Gielau) Mixdorf. Forrest attended school in Janesville and graduated from Janesville High School in 1936. He married Fern Rhea Barnard in 1945 following his honorable discharge from the United States Army. Forrest devoted his life to caring for his wife and family. He worked as a mechanic for Tate Cadillac Olds until retirement. Forrest and Fern spent their winters in Orlando, Florida, for 25 years. He enjoyed fishing, woodwork, and gardening. He was a member of Westminster Presbyterian Church. 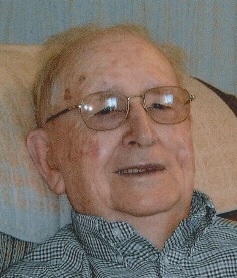 Forrest Glen Mixdorf died on Wednesday, April 10, 2019, while a resident of NewAldaya Lifescapes in Cedar Falls of natural causes. He was preceded in death by his wife, Fern; and grandson, Jeffrey. Forrest is survived by his daughter Nancy Mixdorf, his son Glen Mixdorf, and granddaughter Stacey Conrad. The family wishes to extend a heartfelt thank you to the caring staff at NewAldays Lifescapes and St. Croix Hospice. As a show of sympathy, the family suggests memorial contributions be directed to NewAldaya Lifescapes, 7511 University Avenue, Cedar Falls, Iowa, 50613.